A report from Automotive News concedes that the much-hyped Nissan Terra won’t be coming to developed markets such as Europe and the US for one big reason: safety. 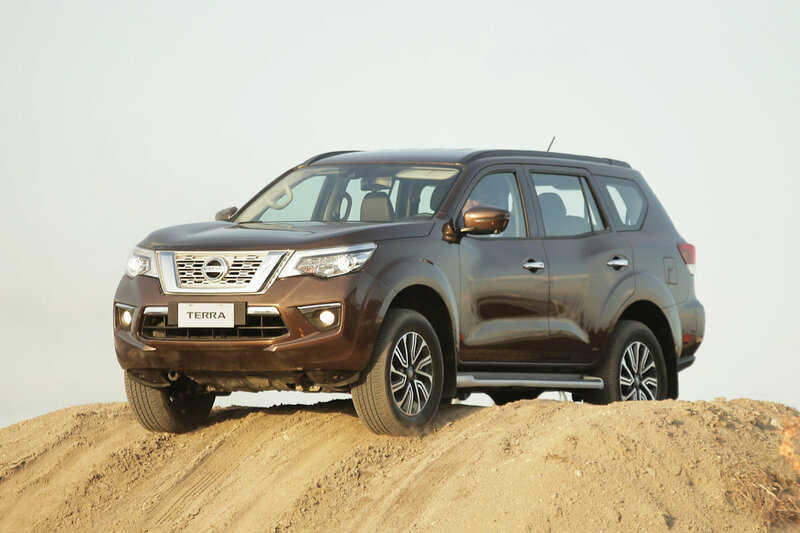 In an interview with the publication, Hironori Awano, chief vehicle engineer of the Terra said that this body-on-frame SUV was designed primarily to satisfy emerging markets such as China and Southeast Asian countries like Thailand and the Philippines. “The US market is one of the toughest, not just because of crash tests but also because of customer expectations,” he said. At this point, it’s worth noting though that none of the PPVs or Pickup-based Passenger Vehicles are currently sold in the North American market. Still, this is a big blow since Nissan has been harping about the Terra’s safety features such as Lane Departure Warning, Blind Spot Warning, Around View Monitor with Moving Object Detection, and Intelligent Emergency Braking (all of these are part of Nissan Intelligent Mobility). The first one that’ll be offered in the US would be the Everest-based Ford Bronco which is slated for a 2020 market appearance. If only Nissan engineered the Terra to take on the US market, they would have easily beaten Ford to the punch. Of course. That is why these are called 3rd world SUVs. It's not surprising to see the Ford Everest (Bronco) pass the stringent US Market. And it's also not surprising to see the Nissan Terra fail to pass the test, they (Nissan) has to improve the Terra for all markets first before aspiring for that US Market. Worse than 2019 Jimny? Hard to believe since Nissan Frontier / MB X-Class have better NHTSA/NCAP ratings than Jimny. Guessing they are waiting how Broncho is received first (if there is a huge demand) before offering Terra with its own US specific branding / specs / powertrain. This is outright discriminatory! These manufacturers are shortchanging Asians! We deserve better and safer vehicles too! six airbags are standard on all variants of the Nissan Terra. Because we have different needs. A lot of people here are willing to forego safety because, "Magaling naman ako mag-drive" "Di mo magagamit sa Pinas yan" "Ang mahalaga mura sasakyan kahit mausok, luma na at walang airbags"
Same with all PPVs. There's a reason why 3-row mid-sized crossovers are sold there instead of these body-on-frame, diesel-fed PPVs; aside from the fact that they are cleaner, more comfortable, quieter, more modern, the price there isn't as high as the price here, and they can afford them and the gas prices more, they are inherently safer with the safety equipment and build that comes with them. Alin po ba mas magandang car? Go for the Fortuner Automatic. Go for Terra while their Fortuner eats your Terra's dust. Terra is a good choice.